A small treasure-loving fairy with little control over what comes out of her mouth. Rikku is always next to Yuna and Paine and is more often than not kept out of trouble by them. Rikku worked for a while under Maleficent and spied on the Hollow Bastion Restoration Committee. When the trio of pixies ran into Sora, Donald and Goofy, they believed Donald's story about Leon having lots of treasure and so switched sides. For the sake of Leon's treasure, they even participated in the great battles that took place when Organization XIII attacked Hollow Bastion with numerous Heartless. Being the forgiving pixie she was, Rikku didn't mind it all that much when she discovered Leon had no treasure to offer them. 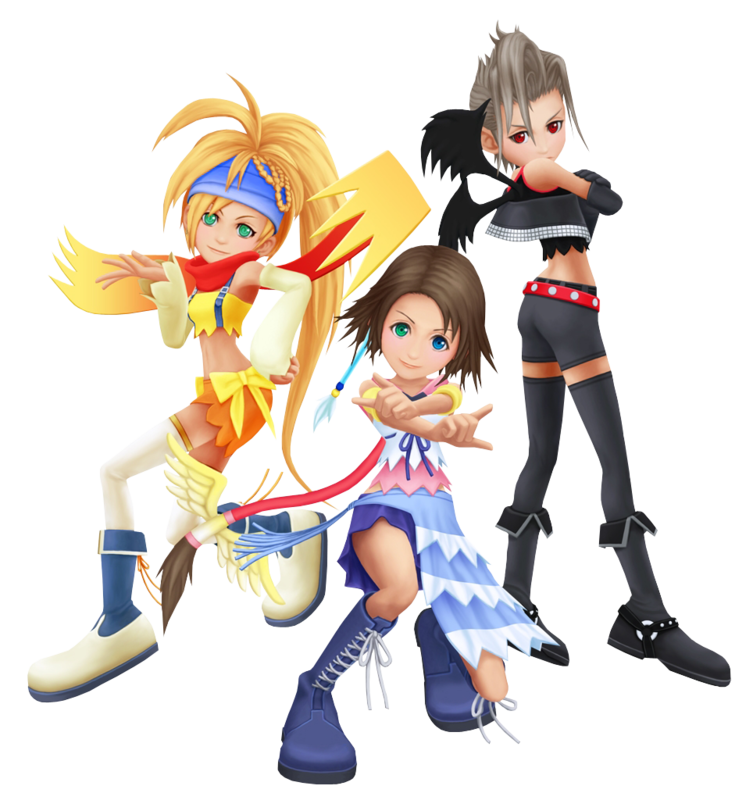 Understanding the town's predicament, Rikku helped Yuna and Paine in creating a Keychain for Sora so that he could continue fighting the Darkness.